Special features include a solid one piece stainless steel guide rod precision CNC machined to accept a removable 3/32 Allen head tip. The ISMI recoil spring is manufactured of certified materials, heat treated for longer life, shot peened for stress relief and finally calibrated to Glock factory specifications (18lbs). 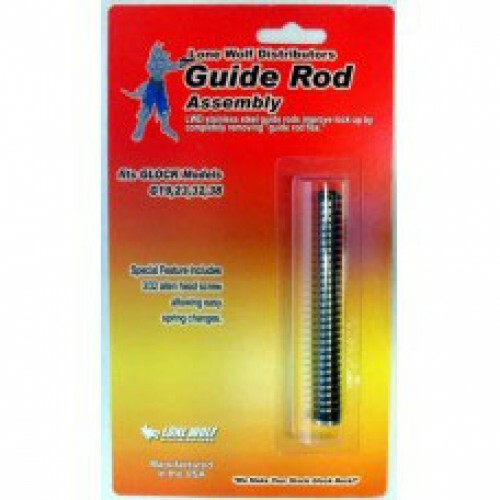 These combined features make the Lone Wolf Guide Rod Assembly the most durable, longest lasting system available today. Fits all G19,23,32,38 Pistols.